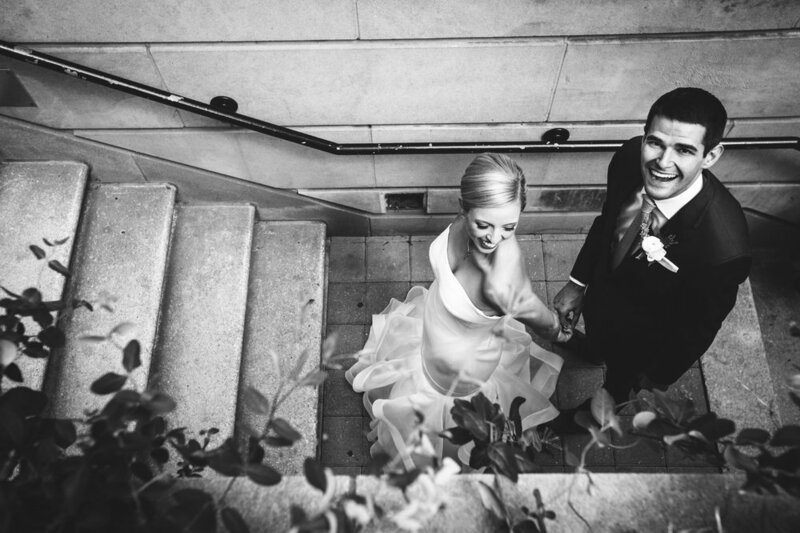 We are so excited to share Lauren and Phillip's incredible Chicago wedding with you all. Not only did I have the honor of creating a one-of-a-kind, modern wedding suite for these two, I also got to share the entire wedding day with this couple that I'm so lucky to call best friends! I met Lauren and Phillip (and my husband, Ryan!) 12 years ago in Architecture school at NC State, and we've been friends ever since. We bonded over late nights in the studio, group projects, and site visits, and I was lucky enough to see the two of them fall in love. 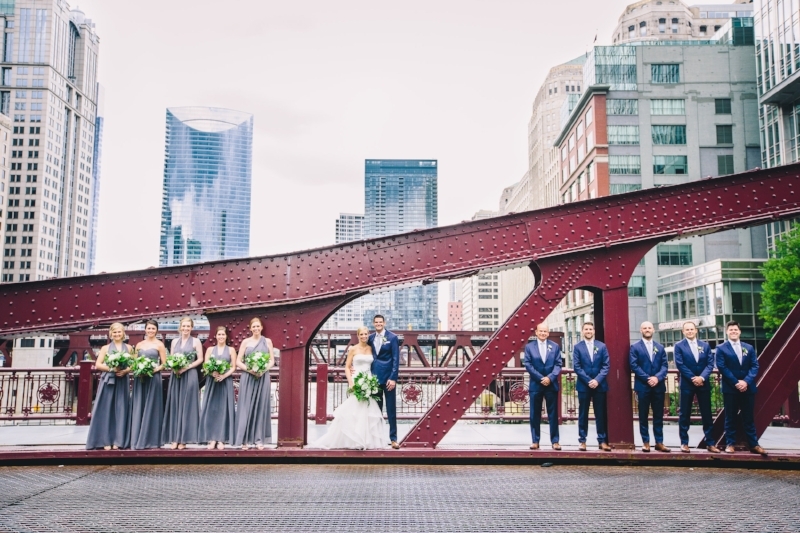 Fast forward to today and Lauren & Phillip now live in Chicago, IL and are both real-deal architects at two of the coolest firms in the country. 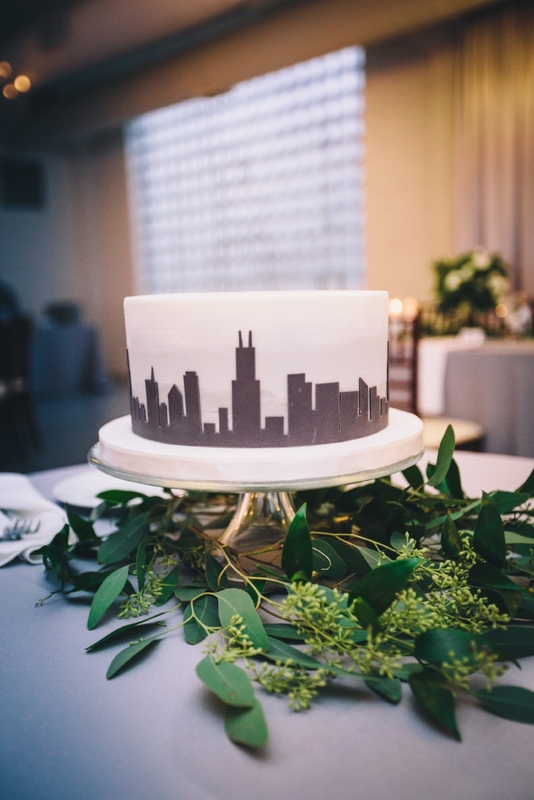 For their wedding invitation suite, I wanted to keep the design modern and minimal, with subtle nods to their love of Chicago architecture. Their suite is filled with urban, monochromatic details and is one of my absolute favorite suites to date! A few of my most common stationery features were missing from this suite, but we didn't miss them much here. No calligraphy! Or Watercolors! Or florals! Can you believe it?! The ultra modern block type face really made the entire suite pop and keep in line with the modern architectural vibe they were going for. The finished product was sleek, urban, and totally Lauren and Phillip! It's not often that I not only get to create stationery for a client, but also get to create my own special memories from the big day by standing beside my friends as they said "I-Do." Best friend clients are so much fun, you guys! And I mean, could these two get any cuter?? Look at them. Congratulations to my closest friends and coolest stationery clients ever! It was so special to not only share my passion with them through their wedding suite, but also share their love and celebrate with them. It's such a cool experience to see everything come together first hand. Cheers to forever Lauren and Phillip!